Is Your Company Well Branded, Or Do You Need A Brand-Aid? Do you wonder at all how others might perceive your brand as they bump into you online across different channels? Have you considered exactly how you should array your various identities across the web? 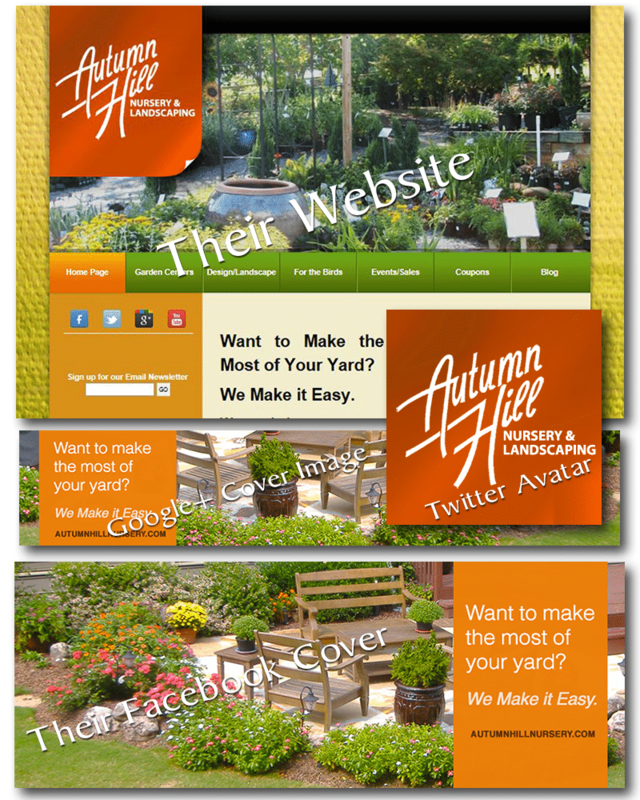 Is a solid visual impact and uniformity a part of your strategy as you develop your web presence? If your answer is no to any part of this query, then please…read on. This is really important. “The most valuable fixed asset…” If your logo and imagery are not fixed and stable EVERY SINGLE PLACE they show up then it should be a priority to fix this quick, fast, and in a hurry. It is not uncommon at all for a small business to have fragmented, unorganized, and even disparate image showing up all over the place. We see it often as we take on new clients and this becomes one of our FIRST objectives for each and every client. I’ve added some examples below to show how this company shows up on various channels across the Internet. It doesn’t matter whether you are just starting out or that you might be a more “mature” company…establishing a strong brand is important to nearly every aspect of your business. People tend to do business with people that they like, know, and trust. It’s extremely hard to figure out a company that seemingly has multiple “identities” or different branding from one place to the other. Building a rapport and an affinity (the like, know, and trust are extensions of this) with a fan base (read: potential client/customer) requires stability. Having a strong brand actually shortens the sales cycle. Think about all of your marketing efforts. Do you rent booths at conventions? Do you use presentations to speak to audiences? Are you active on social media channels? Do you send out a newsletter? Each and every time someone comes in contact with your brand you want it to be a consistent and unified front. This builds the perception of credibility and trust. Refer to the first point to connect the circle here. I’d love to hear some of your thoughts today as you wrap your head around why all of this either makes sense to you or not. The comment section is always open and we value your input! As always, feel free to contact TrustWorkz® if we can ever help you out in any way.